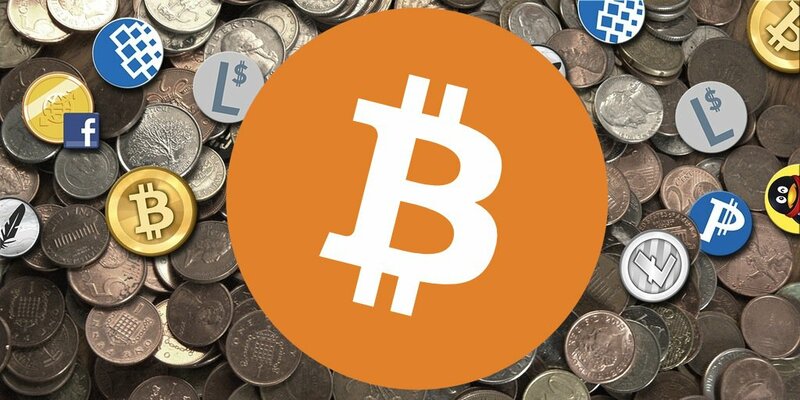 Coinsetter: Will a Better Virtual Currency Make Bitcoin Obsolete? Building my first startup in the highly competitive online ticketing industry taught me a lot about who wins and loses in a changing environment. Many people in the tech world suggest that all you need to do in order to attract customers is to build a great product and users will naturally come. While building a great product is vital, it’s not the whole story. All around us, we see large, imperfect companies dominating their market while new entrants with theoretically better products never quite gain traction. Many entrepreneurs rely upon this “create a better product” strategy and never understand why users aren’t willing to leave their old product for the shiny new thing. With many people questioning if Bitcoin is the best implementation of virtual currency, I can already see parallels in comparing Bitcoin with other options. The answer to whether Bitcoin is the long term winner in this race is actually quite clear. First, most people would admit that Bitcoin is not perfect. The 10 minute confirmation time is not optimal for quick transactions. The 51% attack is still a looming risk. Then there’s the huge amount of energy “wasted” in the mining process – not great from an environmental standpoint. I’m not the first person to point these issues out, and in response, many people have already released other virtual currencies that aim to improve upon the movement that Bitcoin has started. Litecoin, Ripple, PPCoin, Feathercoin, BBQcoin and others all claim to be a better virtual currency, and their proponents are just waiting for bitcoiners to flock over. BBQcoin is obviously the most delicious of the virtual currencies and way more delicious than Bitcoin, but what would need to happen for it to truly rival Bitcoin? I think it helps to take a step back and ask why a lot of Bitcoin’s imperfections exist in the first place. These imperfections were not oversights by its core developers; they were expected byproducts of thoughtful decisions that they made. For instance, the 51% attack is only possible because of the extremely distributed nature of the mining structure that makes Bitcoin unstoppable by groups that would limit it. A system like Ripple reduces this particular risk and uses far less energy in the process, but by using trusted gateways as the basis for making confirmations, it is prone to government manipulation. Though I believe Ripple as a technology is needed and will be successful, I see its form inevitably becoming influenced by the government. Bitcoin companies will have to play ball with regulation, but the currency itself will hold its ability to force desired change in world. Beyond imperfections, Bitcoin has an attribute that will solidify its place as the only viable virtual currency: Bitcoin’s use as an IP address for money. While closed payment networks will initially be apprehensive to accept Bitcoin transfers, they will find that they must accept out-of-network Bitcoin transfers or become obsolete. Within the next five years, almost all closed payment networks will have an input for your Bitcoin address, turning them into open payment networks that can accept money from anyone. However, you won’t find two inputs on these apps for your Bitcoin and Litecoin address. Bitcoin is the only virtual currency that has sufficient adoption to become the standard. If you want to know how this story unfolds, I encourage you to read the history of the Internet and TCP/IP. Further solidifying Bitcoin as the only viable virtual currency, wider adoption will lead to increased switching costs. Once a company, product or in this case, a currency takes dominance in an industry, people don’t tend to leave it for something with low value improvements. This happens, firstly, because people find comfort in familiar things and don’t become compelled to try something new unless the benefit is overwhelmingly obvious. Bitcoin already has far wider adoption than any of its alternatives and has substantially more infrastructure being built around it. Second is track record. For as bad as a product is perceived to be, proven “good enough” reliability goes a long way against unproven alternatives. Bitcoin’s four years of success in the face of hackers and growing transaction volumes builds confidence. Finally, Bitcoin has very social roots. Given the value now associated with the word “Bitcoin,” it is very unlikely that another virtual currency will match its caché in the next five years. So will a better virtual currency make Bitcoin obsolete? The answer is very clear to me. Bitcoin isn’t perfect, but it doesn’t have to be in order to fend off competitors and remain the world’s dominant virtual currency. An understanding of this notion presents an opportunity for people that understand it today. Until traders widely realize that Bitcoin is here for good, there will be a lot of untapped value in Bitcoin’s market price. The currency’s longevity will become obvious over time and be reflected in prices down the road, so eat your BBQcoins, sell your PPcoins, and go buy some Bitcoins before they’re back at $200! Jaron Lukasiewicz is the CEO and Founder of Coinsetter, a New York City-based company that offers a high performance levered trading platform for Bitcoin. Prior to Coinsetter, Jaron was the Co-Founder of Ticketometer, a social media-focused online ticketing platform. Previously, Jaron was an Associate at The CapStreet Group, a Houston-based private equity firm; an investment banker at J.P. Morgan and Madison Williams in their global investment banking groups; and began his career as a summer analyst at SPB Partners, a Las Vegas-based private equity firm. Jaron graduated from Rice University on the President’s Honor Roll with a Bachelor of Arts in Economics and is fluent in Spanish and Portuguese. He is a frequent speaker at events on the topic of Bitcoin and financial technology and has been featured in The Wall Street Journal, Bloomberg, Fox Business News, TechCrunch, Mashable, Entrepreneur, Forex Magnates and other news media.